It wasn’t long ago since our last Midleton Distillery Tasting with Brian Nation and Ger Buckley but as there is a mass of delicious hooch made at the distillery, there’s still a bunch more for us to taste! 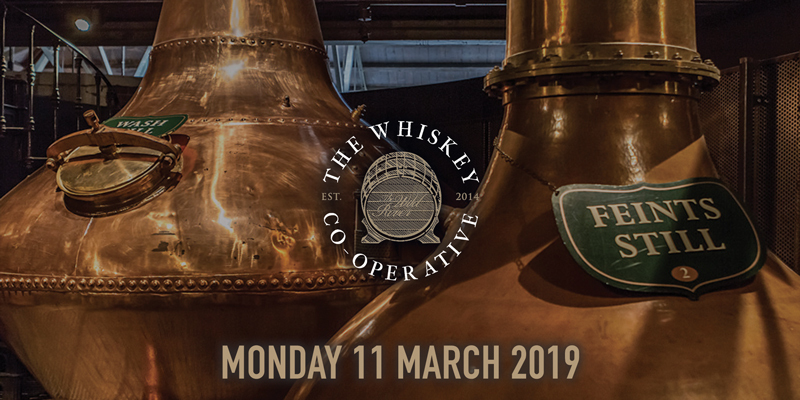 To celebrate the week leading up to Paddy’s Day Weekend at the Wild Rover, Jameson Brand Ambassador Neil Flannery will bring along 5-6 whiskeys for a tasting with 50 Co-Op Members to present upstairs at the Wild Rover. The room will be fragrant, booze will be tasty and as usual sausage rolls will be dished out at the conclusion of the session. The St Patrick’s Day/week sees the return of the famed Spuds with Guinness Gravy. This will be available for purchase before and after the tasting. Is there anything better to do on a Monday night? Probably not. Invites are being sent out to members on Wednesday 27th February at 9 am.